We went to this Club in 2014 as we were invited to our friends Peter and Katy's son's wedding in Rhode Island. We stayed in the house at The Acoaxet Club; that house was rather interesting: our room was right at the very top in the roof space and required some dexterity to scale the stairs as well as avoid the beams in the room! All very fun, however, to stay on a golf course. 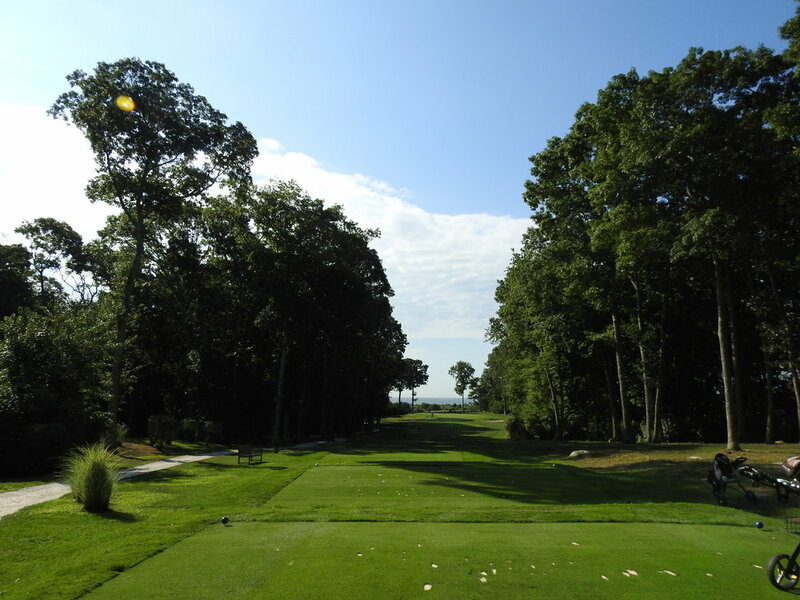 The Club is a private member-owned club, technically located in Westport, Massachusetts. It was established in 1919, and features a 9-hole golf course with two tee set ups so you can "play" 18 holes. It also has 11 tennis courts, and dining facilities overlooking the beautiful Westport River and Atlantic Ocean. 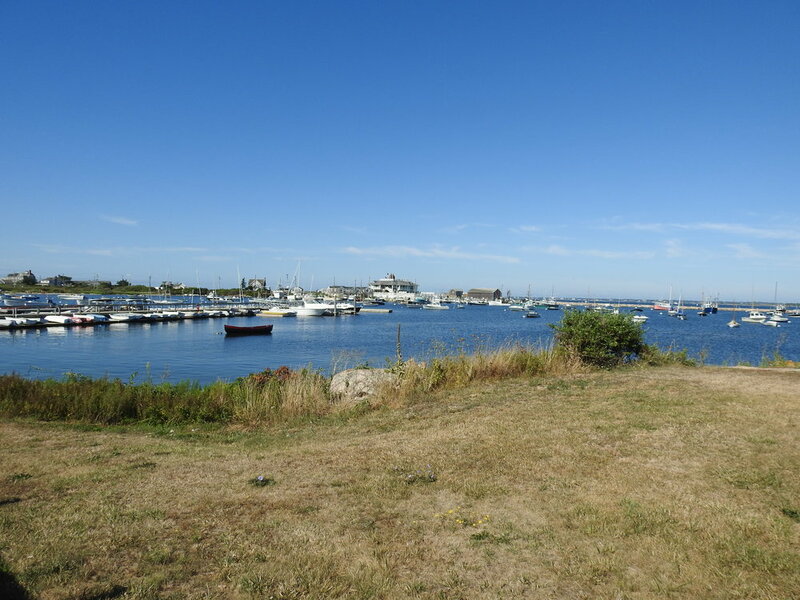 You can see the closest major City is Providence, and you can also see landmarks like Montauk at the end of Long Island and Martha's Vineyard. The course is nothing special to write home about, but we had fun, The people were extremely friendly, and the wedding was a huge success. Here's some pics from the course..